It has been a little over three weeks now since I began working. I still reach work about 10 to 15 minutes before the official start time. 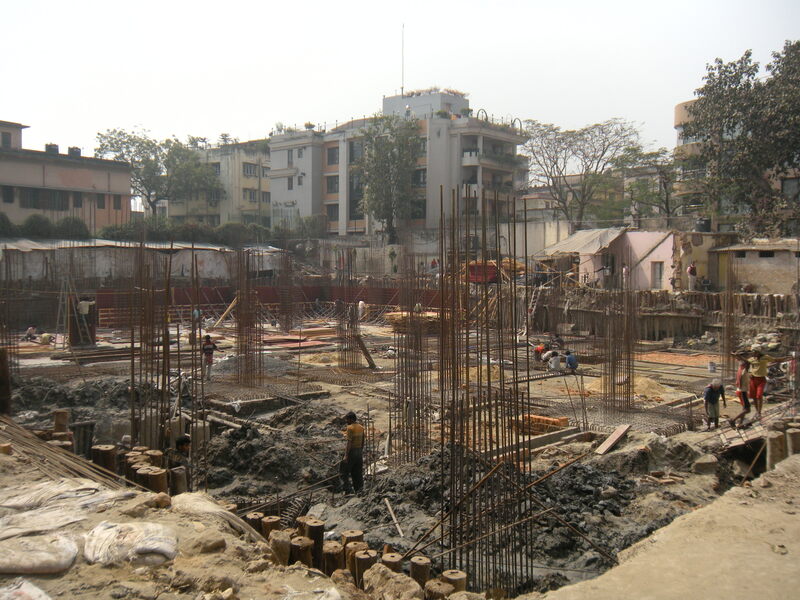 My first project is in Calcutta. So last week when I was told that we will be going to Calcutta for a day the first thing that I thought of was the iconic Howrah Bridge and Rôshogollas(Bengali sweet). The day started early and this was my first visit to Calcutta. When I sat on the flight I realized that I could reach Dubai in the same time that it takes to reach Calcutta from Bombay. May be next time we can meet the client in Dubai? My boss did not find that funny. I was required to check in my bag cause I had a 6”x6” marble sample with me and that seemed too dangerous to carry on board so I had to wait 20 minutes or so for my bag to arrive once we landed in Calcutta. 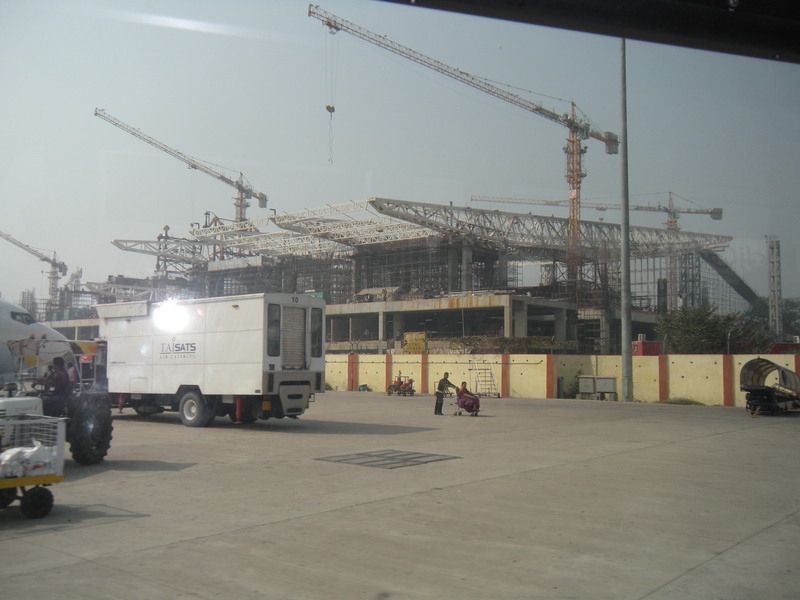 From the airport we headed to our site which is located in Balygunj, a prime residential area in Calcutta. What Tardeo is to Bombay now and Banjara Hills is to Hyderabad, Balygunj is to Calcutta. The roads in this neighbourhood are narrower and the traffic is a snarl. After visiting the site for about 20minutes we headed over to the client’s office. We presented the client with our ideas for the interiors and the progress on the exterior elevations. The client seemed happy – and since we are designing a house almost the entire family barring the children were present for the presentation. Each member of the house had comments or suggestions which were diligently noted. Then it was lunch time – we headed over to the client’s cafeteria and there we had a traditional Marwari meal with Gatta Kadhi and the like. We ended our meal with Rôshogollas and Mishti Doi(sweet yogurt). I made sure that I did not over eat as after lunch we had coordination meetings scheduled with our consultants. Through out the day we kept opening bags of goodies – adding on some expensive flooring, very well designed Swiss and German windows and even some German designed drains for the shower. The client in return but obviously has asked us to prepare a BOQ(Bill of Quantities). At the end of the day I was exhausted but excited. My only regret was that I did not get to see the Howrah Bridge but I did taste Mishti Doi and Rôshogollas. This entry was posted in Architecture, Culture, Design, Indian Art and Architecture, Travel and tagged Architecture, Calcutta, Interiors, Working in India. Bookmark the permalink. Pretend that I am your new client!! come and see me in Dubai! !